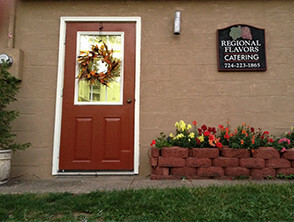 Regional Flavors is a full service caterer specializing in custom cuisines for any budget. Regional Flavors Catering is a family owned and operated full service caterer serving Washington, Greene and Allegheny counties in Western Pennsylvania. Owner and head chef Lois Pettit has over 25 years of professional catering experience; she holds a degree in Culinary Arts from the Pennsylvania Culinary Institute. Lois and her detail oriented staff have been preparing and perfecting a variety of cuisines together for the past eight years. Regional Flavors Catering is fully licensed, inspected, and insured; our culinary team will create mouth watering meals that family and friends will adore for any event, large or small. Named after the melting pot of cultures that encompass western Pennsylvania, Regional Flavors Catering can create and serve custom menus in a variety of ethnic fares including Italian, French, German and Polish. You’ll fall in love with Lois’ flavorful take on classic recipes and baked goods. Catering to your every sense, our delectable and homemade fare offers an inviting taste of comfort and home cooked elegance to any event. We create custom menus tailored to your palette and budget, as well as offer farm to table menu options featuring fresh local produce. From six course seated affairs to the casual elegance of a self-serve buffet, Regional Flavors Catering will cater to your every food whim whether it’s for a wedding, family event, corporate meeting, or gathering. Delectable desserts and main courses will arrive with style and flair depending on your event theme and colors. Lois and the staff at Regional Flavors Catering can help you create a menu handcrafted for your event. Looking for a venue? We can recommend several beautiful reception halls and event venues. Read what people are saying about Regional Flavors Catering! I have been using Regional Flavors Catering for the past 4 years, exclusively for training lunches (probably 15-20 days a month). We are very happy with the variety and quality of the food. I would highly recommend them for any catered event. Lois is a pleasure to work with. When my daughter was getting married, she requested a beach themed cookie table as part of her reception. Lois and the team at Regional Flavors Catering helped us create an impressive spread of cookies from classic and family recipes. 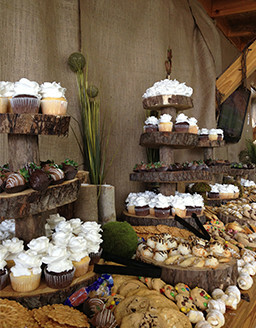 While we had a packaged caterer already associated with our wedding venue, we enlisted Regional Flavors Catering to create a classic buffet of comfort foods for our rehearsal dinner. The food was a big hit! So delicious- everyone went back for seconds, and the menu was perfectly planned for everyone’s needs! We recommend them to anyone who wants a wholesome and delicious menu at an affordable price.